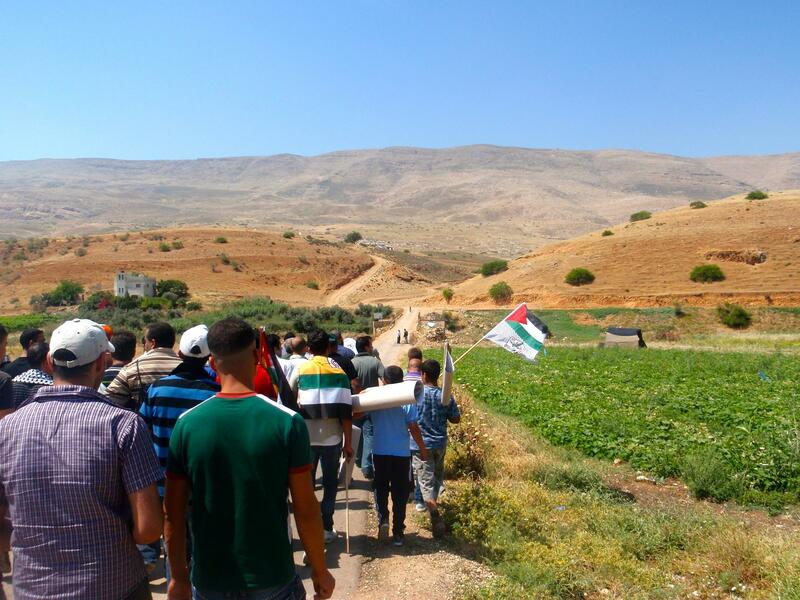 On Friday 10th of May, around 60 people from the village of Azmut, near Nablus, supported by 6 international activists, demonstrated against the Israeli occupation and systematic land theft by illegal settlements. The action was successful, but the residents continue to suffer heavily the effects of Israeli policy in the West Bank. 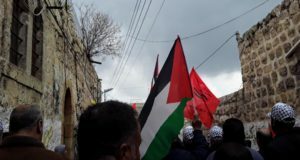 The demonstration started from Khirbat al-Aqrabaniya, a village situated at the base of the hill where the settlement of Elon Moreh was illegally established in 1980. 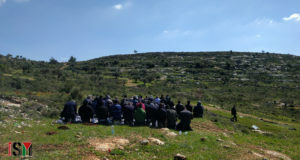 The protesters walked for about one hour over the hill to reach a big plane of land (around 500 dunums), which was recently stolen in a land-grab by the settlers of Elon Moreh. After the community of Azmut gathered for Friday prayer, Palestinian flags were placed on the land that the villagers have been working for centuries. After this, the demonstration moved to the road that was lately built up by the settlers to reach the land that they have taken from Azmut. 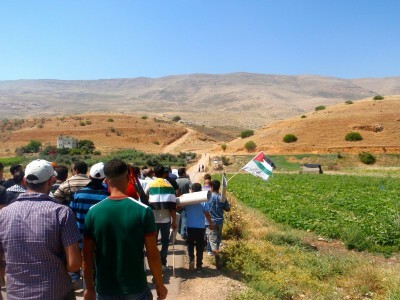 The protesters blocked the road with large rocks in order to prevent settler’s tractors and cars entering the land. Israeli soldiers and settlers were unaware of the surprise action and were not present in the area during the demonstration. The village of Azmut has faced many problems since the start of the Israeli occupation, and their situation was aggravated by the illegal construction of Elon Moreh – stealing over 50% of the village land. 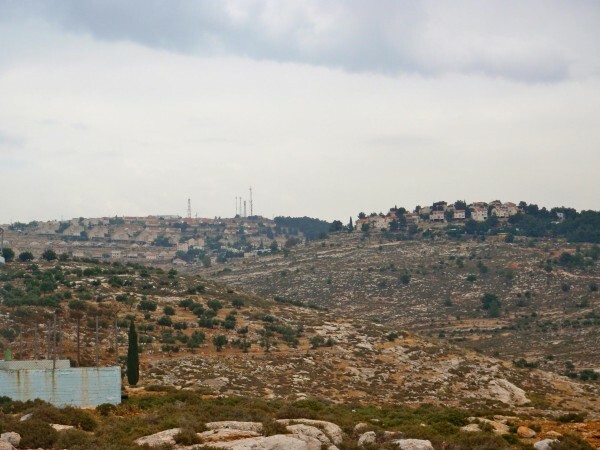 The settlement was further expanded four months ago, stealing even more land. As well as this land grab, the farmers of the village are weekly harassed and attacked by the settlers, especially during the olive harvest. Within the last months settlers have cut down olive trees and attacked houses with rocks, terrorising their inhabitants. Israeli occupation force’s incursions are also part of the daily life of the village. 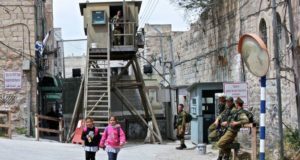 Every week Israeli soldiers come into the village, either for inspections or to arrest people. In the last two months 7 people have been arrested and 5 of them are still in jail in “administrative detention”, without any charge or trial. The residents of Azmut are struggling for justice and their legitimate right to work their land, and they will not give up protesting until this situation changes. 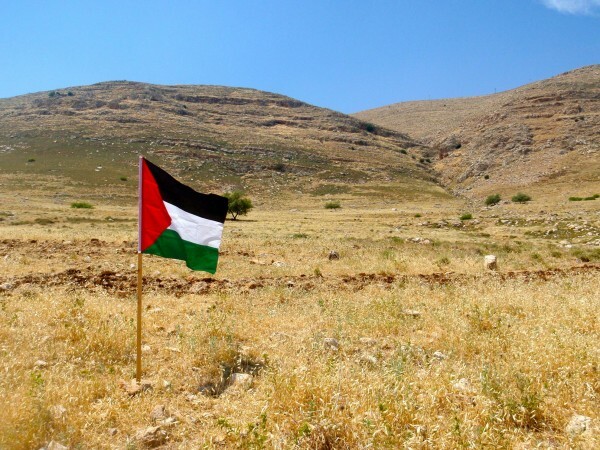 The Israeli land appropriation policy, the settler’s violence and arbitrary arrests by Israeli soldiers are an obstacle to peace and therefore must stop immediately.